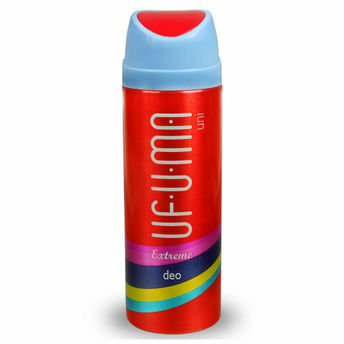 Feel fresh and fragrant all day long as you wear this mesmerising Archies Ufuma Extreme Deodorant with your casual ensembles. Lingering scent of this deodorant leaves you with a cool and relaxed feeling. You get complete protection from sweat odour. Stay clean, dry and smell good. This 200 ml deodorant will not only make for a perfect pick for your collection of fragrances, but will also be a wonderful gifting option. Additional Information : Archies Limited was started in 1979, initially they sold posters, song books and leather patches. Today the companys product range includes jewellery, crystal ware, chocolates and perfumes. Archies Ufuma Extreme Deodorant is a great fragrance which boosts your mood and keeps you focused.